“From” email field editor to replace WordPress defaults. SMTP support to allow sending emails through an external server. HTML emails with stylish template instead of plain text. 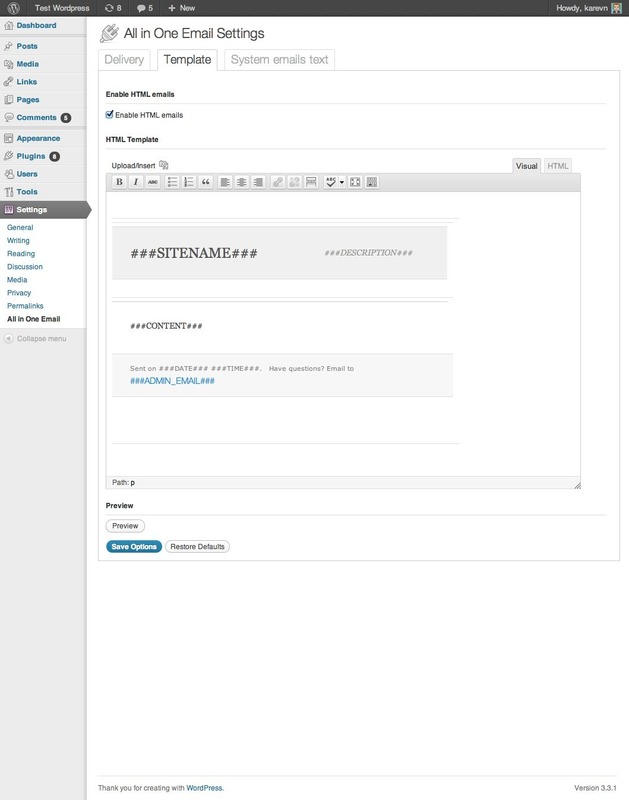 WYSYWYG template editor and previewer. WP-Ecommerce and BuddyPress emails theming. Built-in test email sender to catch errors early. This plugin has been listed by WPArena! Please note that Advanced Email delivery is an outgoing emails tweaker that helps you to send emails when you need mode flexibility than standard WP options provide. It is not a Wordpress-based email client or mass-mailer. The support for this item includes bug fixes / fixes for compatibility problems. Configuring it right is still your responsibility and may need some tech knowledge, so it is recommended to contact mail server administrator for correct options. 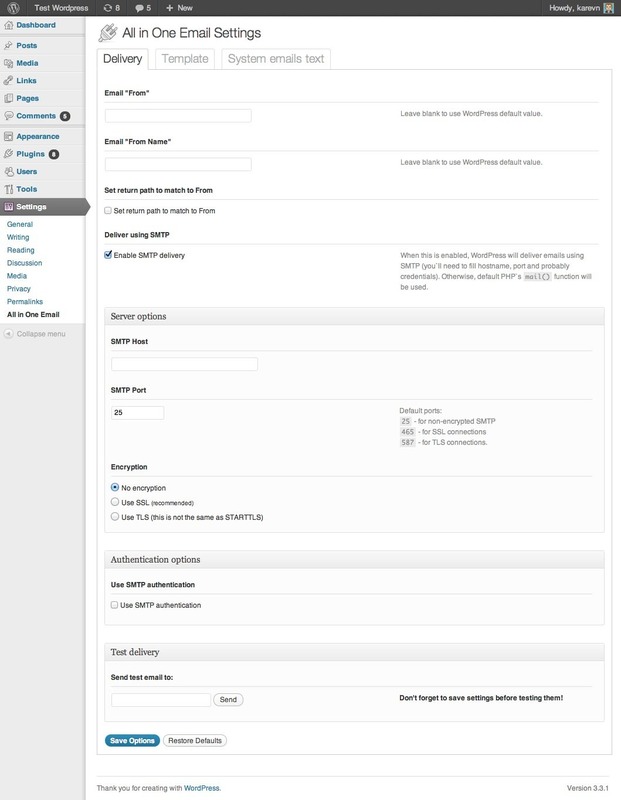 WordPress 3.2. 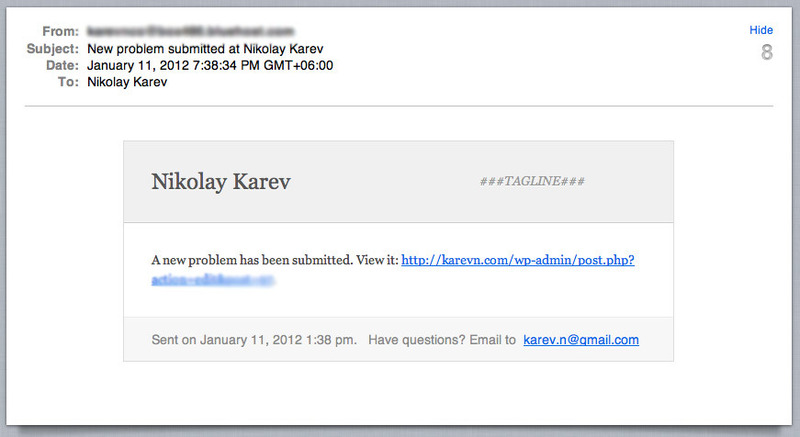 Probably, All in one email will work with older version, but was not tested on them. 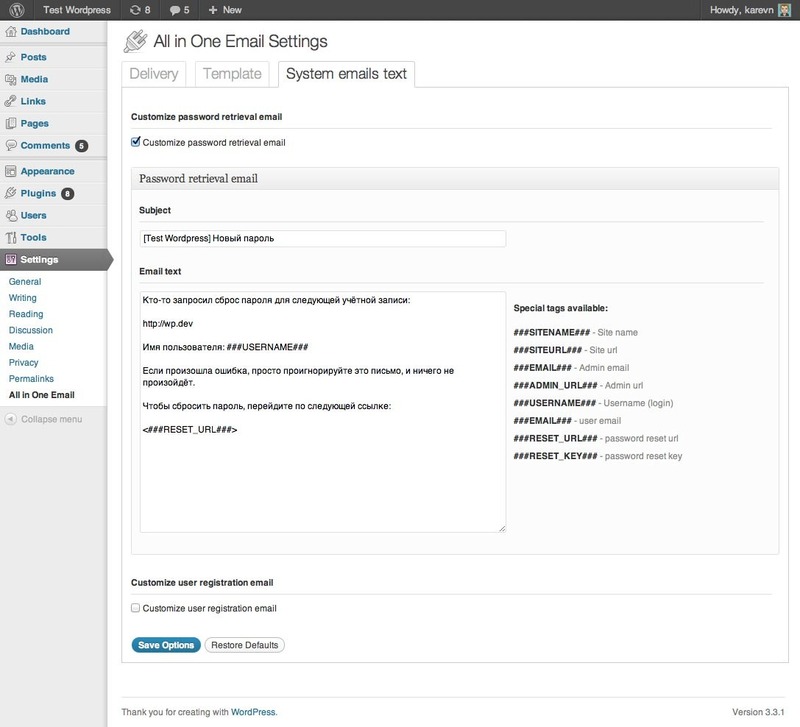 WordPress 3.3 is recommended to support WYSIWYG email template editor. IE6 is not supported by the admin area. v1.0.5 Bugfix release for encrypted connections. v1.0.4 Bugfix release – settings page did not show right. v1.0.2 – PHP 5.4 compatible. v1.0.1 – Settings bug fixed, comments support added.